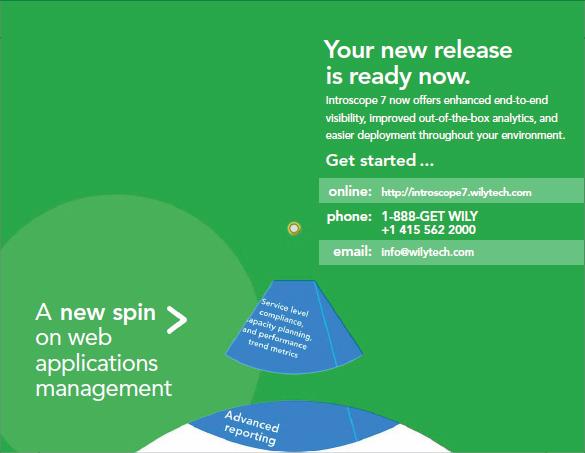 Wily Technology’s flagship product, Introscope, offers IT executives sophisticated enterprise-level web applications monitoring and management. 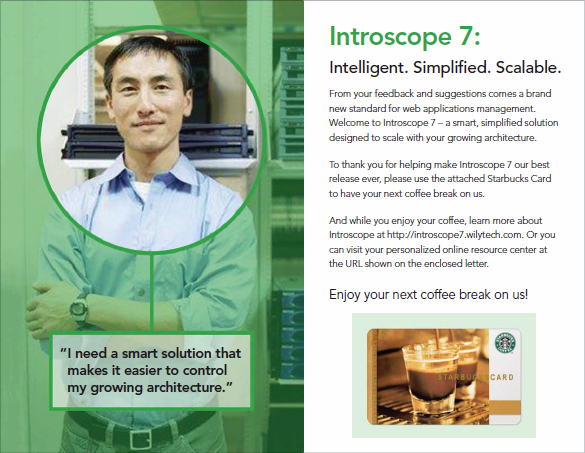 This package was sent to current customers to announce the release of the latest upgrade, Introscope 7. 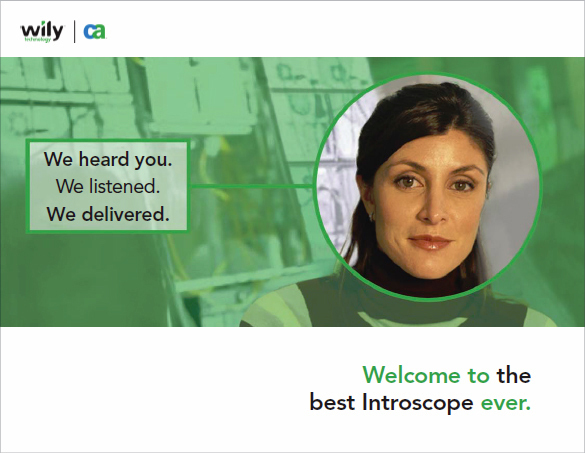 Because the company prides itself on listening to its customers, the brochure includes a gift card to thank customers for their input. Below the card is a die-cut wheel that actually spins to match features with benefits, paying off the “new spin” headline. See excerpts below, and more of this package by viewing this PDF.